Beer-in-box consists of three core material parts that fit into each other. Production, Packaging and Carbonation & Dispense. 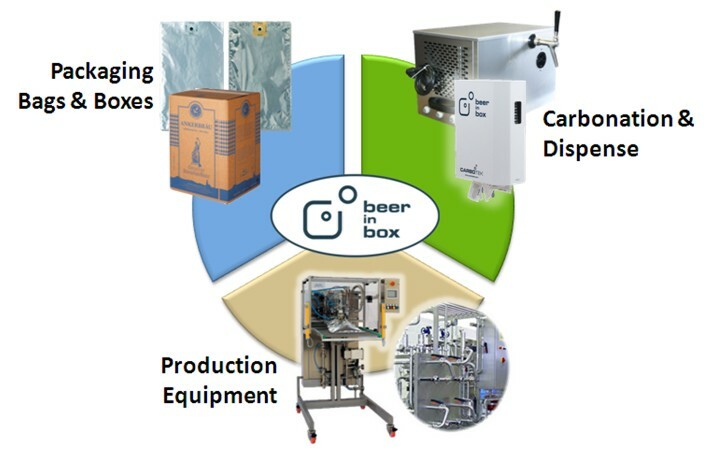 Carbotek and it's cooperation partners provide the required equipment, components, know-how and services to implement the beer-in-box solution with your own brand.